ABOUT STONY BROOK SCIENTIFIC, LTD.
Stony Brook Scientific Ltd. (SBS) is the world's leading manufacturer of falling needle viscometer products in any scientific and engineering fields requiring accurate fluid property measurements. 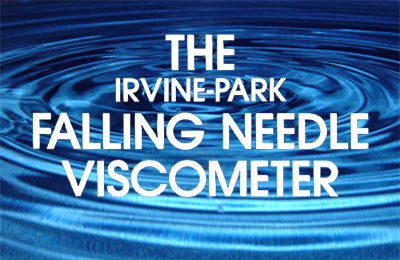 SBS viscometers are the industry standard for viscosity measurements. The company was founded in 1991, and has its corporate headquarter located in Norristown, Pennsylvania, USA. Stony Brook Scientific, Ltd. has brought together an impressive group of advisory staff members and professors from well known universities for the development of new scientific equipment. SBS's continuing goal is to be a presence in the market place as the standard for viscosity and other fluid property measurements. Stony Brook Scientific, Ltd. (SBS) primarily manufactures scientific instruments such as the Portable Field Viscometer, Disposable Viscometer, Portable/Disposable Viscometer, High Pressure and High Temperature Viscometers, Caulking Viscometer, Controlled Needle Viscometer, High Temperature Viscometer, Ultra High Pressure Viscometer, Sealed Viscometer, Falling Needle Viscometer/Density Meter, Thermal Expansion Coefficient and Relative Sedimentation Rate Measurement Systems.